In 2017, Germany launched an investigation of imams with DITIB who allegedly spied on devotees of Fethullah Gülen, a Muslim cleric accused by the Turkish government of being behind the country's failed coup in 2016. The case was later dropped due to lack of evidence. According to Tsourapas the end of the Cold War and the rise of transnational politics has made Western targets more prominent and regimes’ attitudes toward migration have evolved to allow for higher rates of cross-border mobility. In the Turkey’s case, speaking to members of pro-government diaspora at a controversial rally in Sarajevo in May, Turkish President Recep Tayyip Erdoğan urged his supporters to get involved in the politics of their adopted countries and take citizenship. From the Middle East to Latin America, migration is an evolving tool in regimes' toolbox. 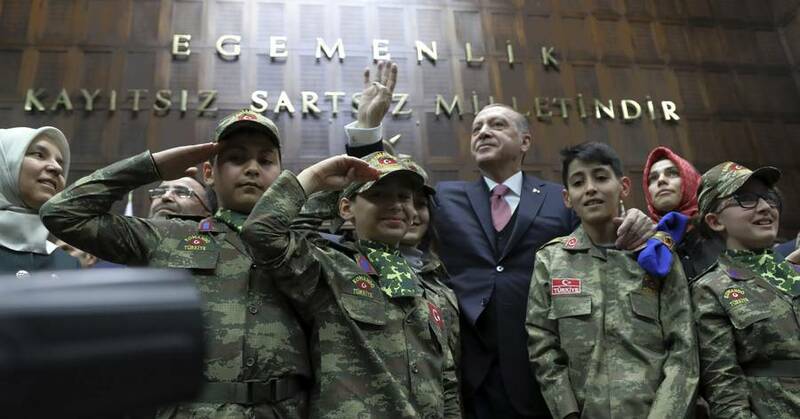 Turkey is losing the “soft power” it has built up in the Middle East, partly due to its popular soap operas, as President Recep Tayyip Erdoğan makes "thinly veiled territorial claims" and harks back to the country’s Ottoman past, said Yaroslav Trofimov in the Wall Street Journal. Erdoğan’s Turkey is increasingly getting into armed conflict and acrimonious fights with its neighbours and allies as it projects Turkish power abroad, Tofimov wrote in a weekly column for the newspaper. “That, naturally, elicits little sympathy among the Ottomans’ historical foes, the ruling families of Saudi Arabia, Jordan and the United Arab Emirates,” he said. “The Syrian regime - and the Kurds - have stoked similar resentment by describing Turkish troops in Afrin as “Ottoman invaders”, he said. Turkey launched a military incursion into Afrin on Jan. 20 to battle Kurdish groups that have to set up an autonomous enclave near Turkey’s border. The Dubai-based Middle East Broadcasting Centre’s (MBC) decision to cancel all of its Turkish TV series - the company didn’t say why - came after an argument between Erdoğan and the United Arab Emirates about the behaviour of an Ottoman commander in Medina, Saudi Arabia, during World War One. Erdoğan is trying to revive an “Ottoman Caliphate”, Saudi Crown Prince Mohammed bin Salman told journalists in Cairo on Monday, Trofimov said. Salman described Turkey as part of a “triangle of evil” alongside Iran and terrorist organisations, according to Egypt’s state-run al Ahram newspaper. The Turkish army’s gains in Syria and the cancellation of Turkish TV drama broadcasts across the Arab world highlight Turkey’s transformation at a key moment in President Recep Tayyip Erdogan’s 15-year rule.